Yesterday we are invited by Trinoma through Geiser Maclang for the mall's Digital 3D Cinema launch. As a treat of Trinoma, together with the Media, Celebrities and some more Movie Aficionados are given the chance to experience the Digital 3D cinema with the latest 20th Century Fox Animation offering Ice Age: Dawn of the Dinosaurs. Once again our favorite sub-zero friends are still together but facing separation anxiety because of Manny (Ray Romano) and Ellie's (Queen Latifah) upcoming parenthood. Manny is obsessed with making life perfect and safe for the herd and his own family, while Diego (Denis Leary) is depressed for losing his Predatory nature when he failed to capture an antelope. Things got worst when Diego decided to leave the herd leaving Sid's (John Leguizamo) compulsion on having his own child grew stronger than ever. One day Sid fell on a whole in the ground and found a secluded cave area that seems to be untouched by anyone from the above. There he found 3 eggs of unknown origins. Believing that the eggs are abandoned, Sid took them to the above ground and decided to be their mother. But one thing they don't know that this is just another start of a prehistoric adventure that they don't expect will happen in their lifetime. 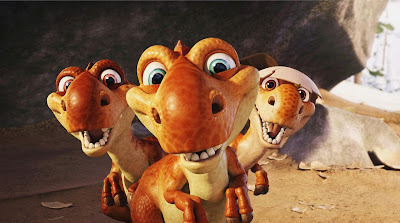 20th Century Fox is proud to present the return of Manny, Ellie, Sid, Diego and Scrat for yet another installment in Ice Age franchise: Dawn of the Dinosaurs. Joined by new characters such as Crash (Seann William Scott), Eddie (Josh Peck), Buck (Simon Pegg), Gazelle (Bill Hader)and Scratte (Karen Disher). 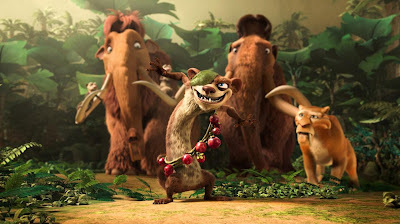 Again for the 3rd time Ice Age had never failed to make me laugh and feel entertained. The jokes are spontaneous, one liners are cleverly played and outrageously funny. New characters of Crash and Eddie added new face of humor in the lineup since Sid is very busy being serious about having kids. Buck is a complete incarnation of a Mercenary turned Hero style character. Despite his size, he compensates it with skills and agility and of course with humor. I want to commend the writers for writing a simple but meaningful script, just right on the father's day season and for having jokes that makes me laugh all through out the movie. 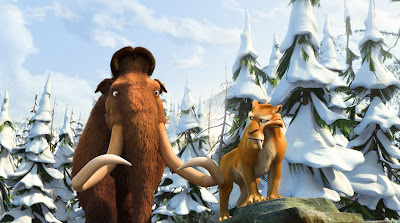 But the movie is not perfect though for it fails to explain how does a prehistoric land exist under the ice. It is a little confusing but other than that, I don't have any problem with the movie. 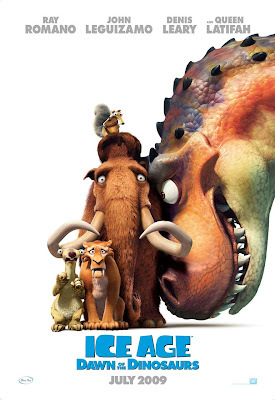 I personally recommend Ice Age: Dawn of the Dinosaurs to all movie goers. This is the movie that you all need to watch for despite the cold endless winter, it has the warmth of a perfect Family flick. For a total movie experience. Watch Ice Age: Dawn of the Dinosaurs in Trinoma Digital 3D Cinema where you will be treated with vivid, outstanding visuals coupled with the crisp, clear surround sound that brings everyone inside the theater to a vibrantly rich, sensory experience. For inquiries call 9013000 or visit www.ayalamalls.com.ph. sayang wala ako nito.. kasi naman kung hahabol pa ako from school, panigurado wala na akong aabutan tsk tsk..
sayang fjordz. sa harry potter dapat makasama ka na.